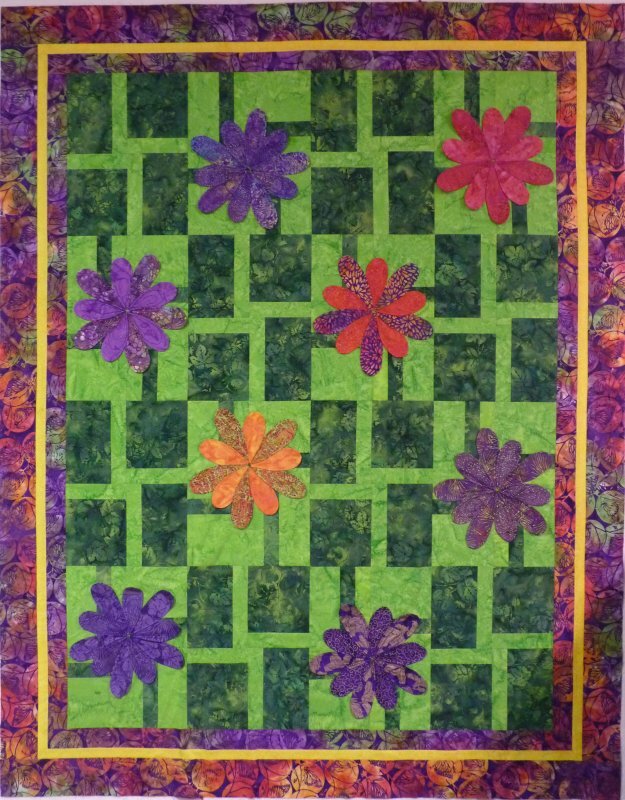 Create your own everlasting field of flowers quickly and easily with 2 1/2 inch strips (or your favorite jelly roll), and some quick piecing. Dimensional petals add a fun feel to this happy project! And a bonus table runner project is included! Finished 61 1/2" x 77" quilt is made with one jelly roll, plus two different background prints and a border print - all from Island Batiks.